Emily Cisek, DO, FACOOG, is an experienced and educated member of Seasons of Life Obstetrics & Gynecology in Allentown, Pennsylvania. Dr. Cisek started out in Bucks County, Pennsylvania, graduating from Gwynedd Mercy High School in Gwynedd Valley, Pennsylvania. She pursued her Bachelor of Science in neuroscience from the University of Pittsburgh. Dr. Cisek then traveled to Philadelphia to earn her medical degree from Philadelphia College of Osteopathic Medicine. She completed her OB/GYN residency program at St. Luke’s Hospital in Allentown and Bethlehem, Pennsylvania. She then began dedicating her time to the National Health Services Corps at Milwaukee Health Services in Milwaukee. Dr. Cisek moved to Massachusetts after being named medical director at Southcoast Obstetrics and Gynecology in Fall River, Massachusetts. She then returned to the Lehigh Valley with her husband to raise their son and daughter closer to family and friends and accepted a position with Seasons of Life Obstetrics & Gynecology. Dr. Cisek wants her patients to feel comfortable and open with her. She understands how important building a close relationship with patients also builds a strong trust. This helps a woman become strong and confident in her decisions. She works closely with the medical students and OB/GYN residents at St. Luke’s Hospital and Health Network. She received additional training in bioidentical hormone replacement therapies, advanced laparoscopy, and minimally invasive surgery. She also focuses on lactation and breastfeeding difficulties. 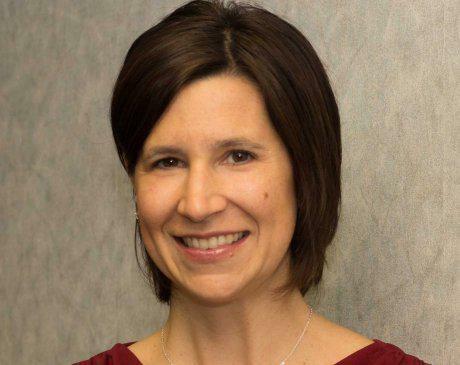 In her free time, Dr. Cisek enjoys hiking, snowshoeing, traveling, and baking.